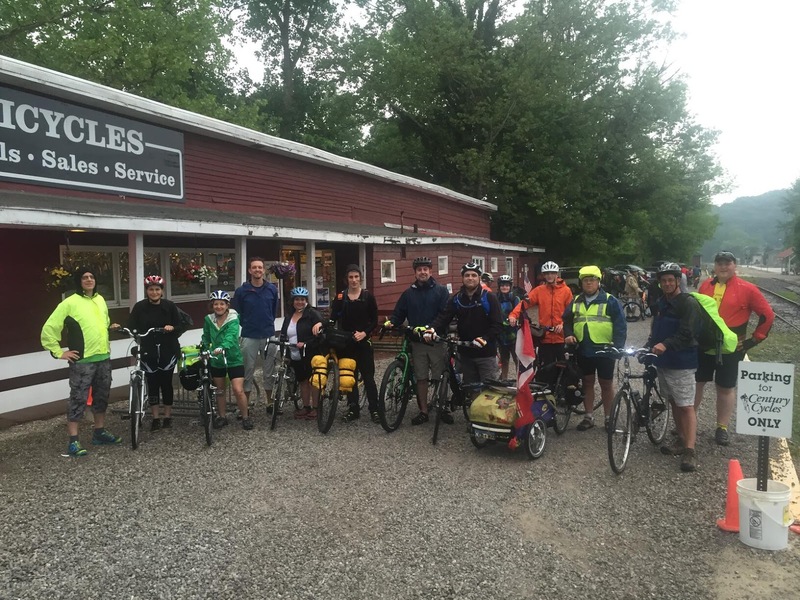 The Adventure Cycling Association's National Bike Travel Weekend was an amazing success! In all 50 states, 8 Canadian provinces, and in a total of 14 countries, we were part of a community of 11,908 people that enjoyed 902 bike overnight trips. Our Bike Camp-Out Night Ride on the Towpath Trail had almost 50 people pre-registered. However, clouds all day, and foreboding red blotches approaching our area on the weather radar kept most non-diehard bike-camping fans away. We ended up with 14 people who showed up to ride and camp, along with about an equal number who did our normal out-and-back Night Ride. 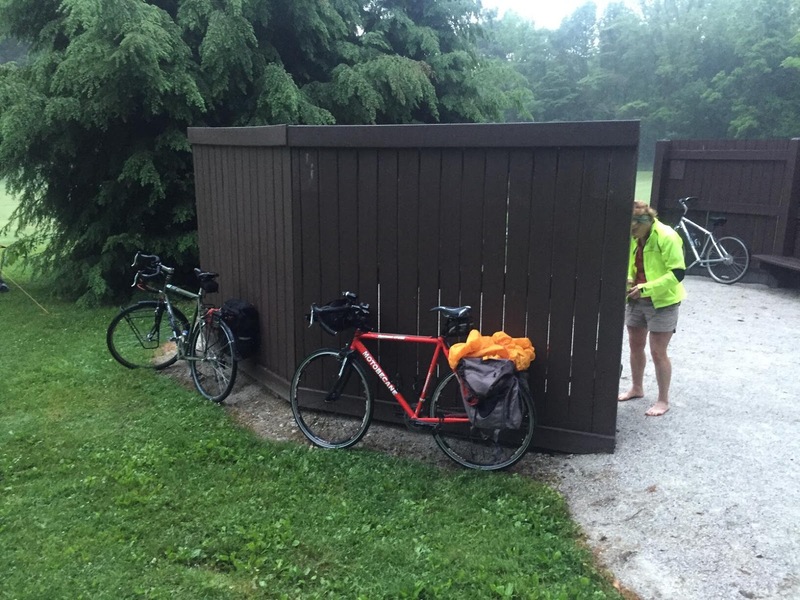 The bike count among the 14 campers included 4 Salsas, 5 Surlys, and 5 others. 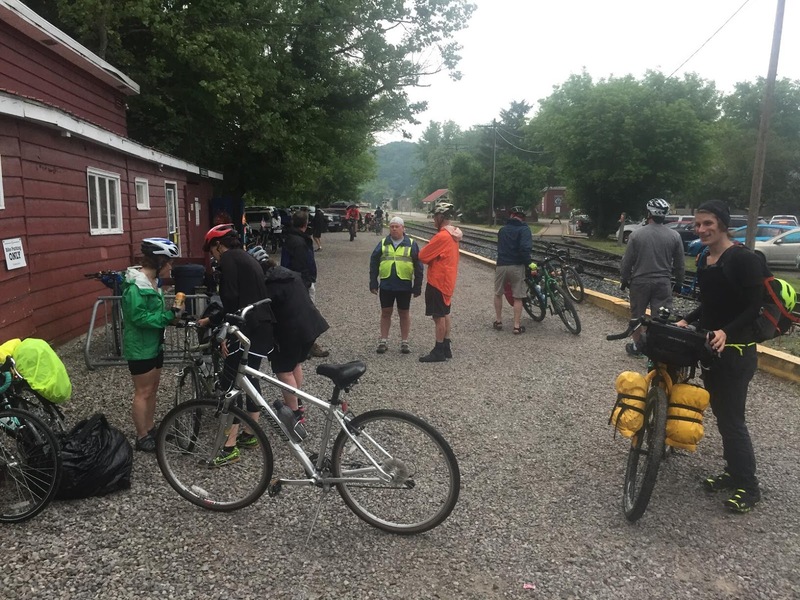 The group included 3 women and 11 men, with one father with his two sons. 11 campers were our friends and customers, plus me (Kevin) and Chris from the Peninsula store, and Josh from the Rocky River store. 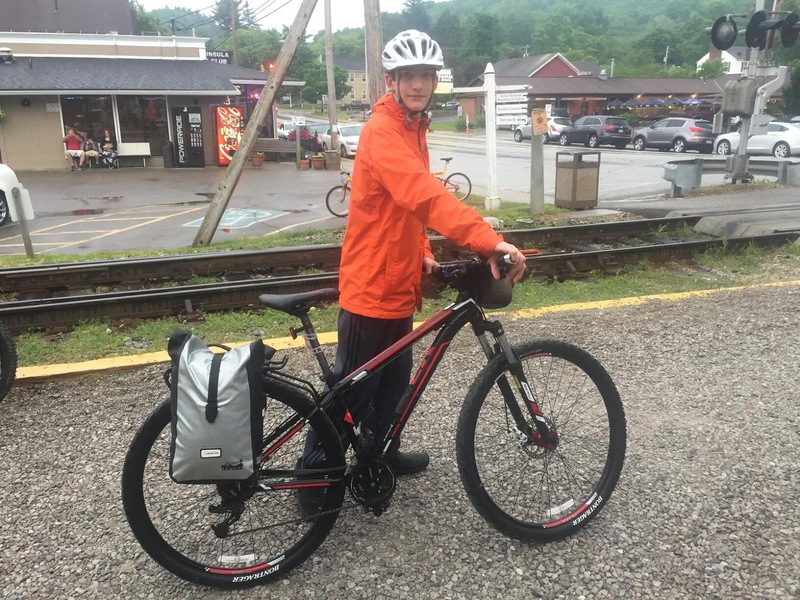 It was sprinkling lightly as we departed the Century Cycles store in Peninsula and headed south on the Ohio & Erie Canal Towpath Trail in the Cuyahoga Valley National Park. 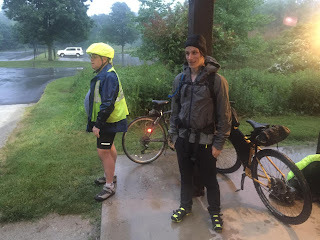 The rain picked up a little more steady by the time we reached the turn-around and re-group point at the Botzum Trailhead. 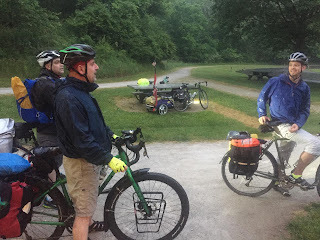 The regular Night Riders turned around and headed back to Peninsula, while we campers continued the extra three and a half miles to get to our camp site at the Summit Metro Parks Big Bend Trailhead. 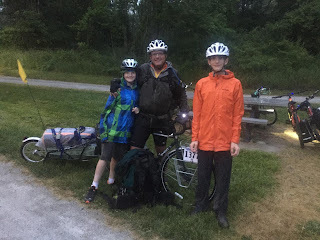 It was dark and raining lightly when we arrived. 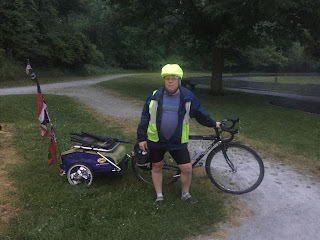 I got my tent set up just in time around 9:30pm to stash my panniers inside the vestibule and duck inside to hide from the rain that now came down steady and hard. I heard some folks chatting and having a good time outside. 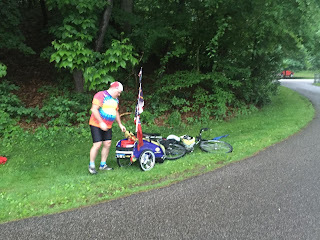 I found out later that they were hanging out and sharing some cheese under the map kiosk near the trailhead parking lot. 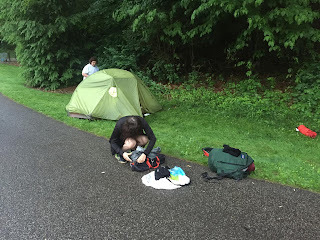 Around 11:00pm, the rain finally subsided, so a few of us ventured outside to stand around, chat some more, and compare our gear and camping setups. 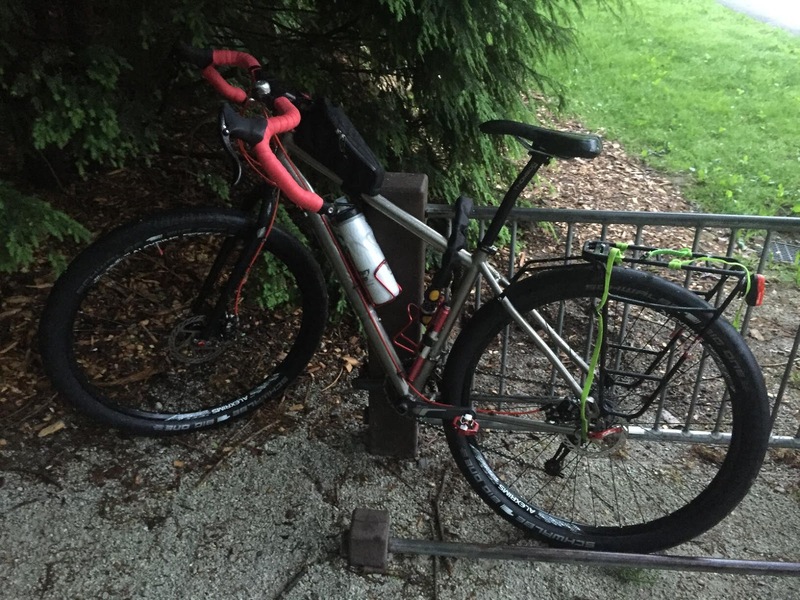 Rob, who is training for a trip on the Great Divide Mountain Bike Route next month, had a lightweight bivvy sack and tarp setup instead of a tent, which he carried on his Salsa Fargo. 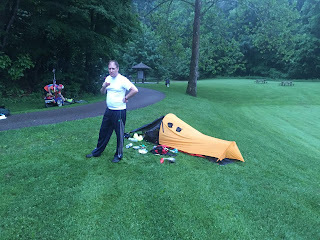 Josh, with his one-man tent, and his Surly Long Haul Trucker resting in the background. 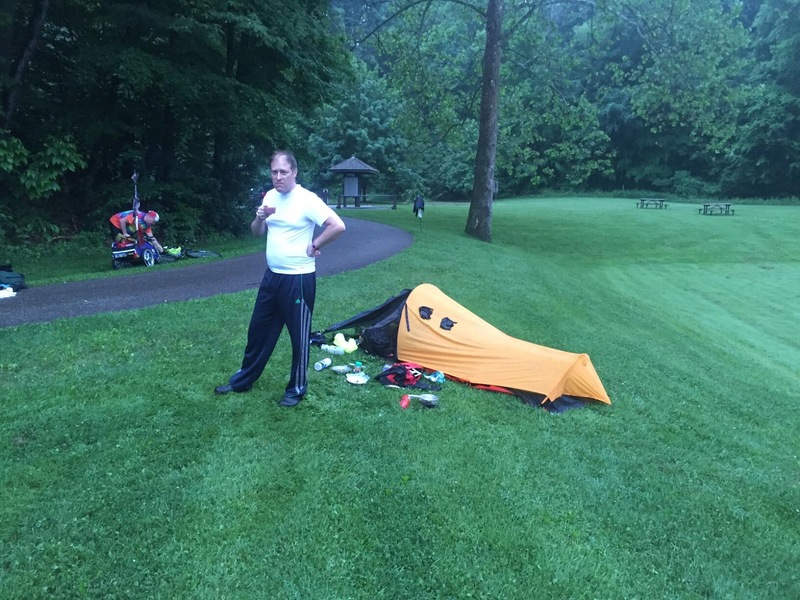 Mike with a one-man tent. 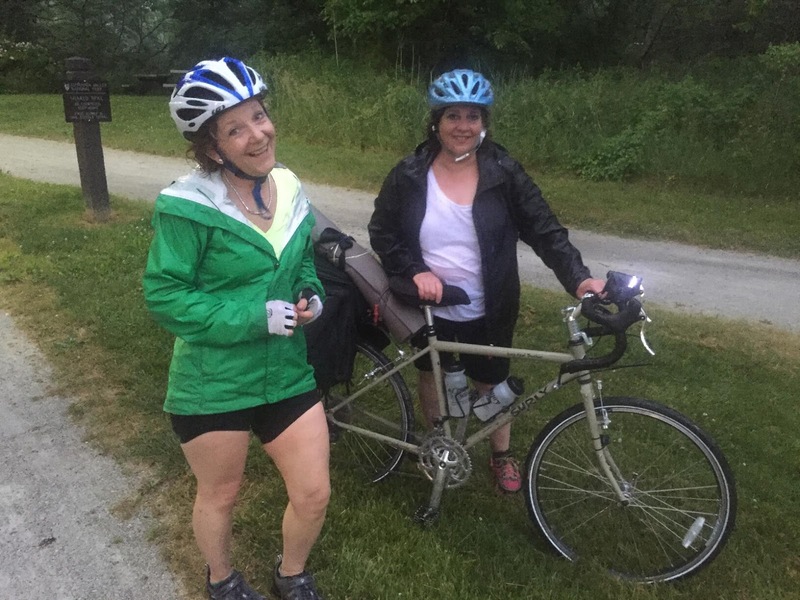 Toni and Kim start packing up Sunday morning. John with a Burley Nomad cargo trailer attached to his Surly Long Haul Trucker. 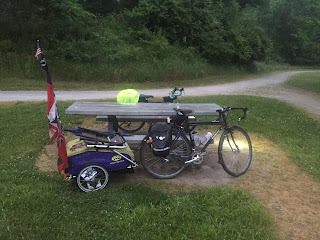 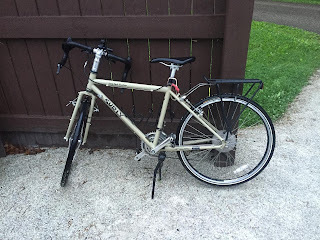 Kathy's Surly Long Haul Trucker waiting to be re-packed for the ride back to Peninsula. 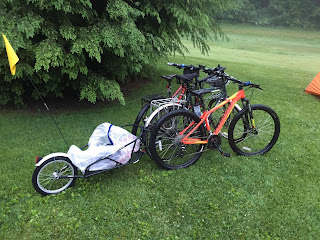 Patrick's Surly Long Haul Trucker, pulling a BOB cargo trailer, with his two sons' bikes. Chris yet to emerge from his tent on Sunday morning, with his Salsa Vaya waiting in the wings. 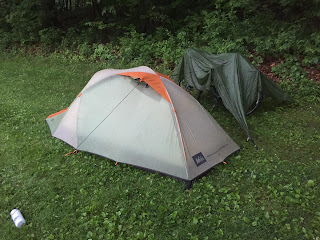 The rain came back a few times during the night, but my Big Agnes Seedhouse SL 2 tent kept me dry inside. 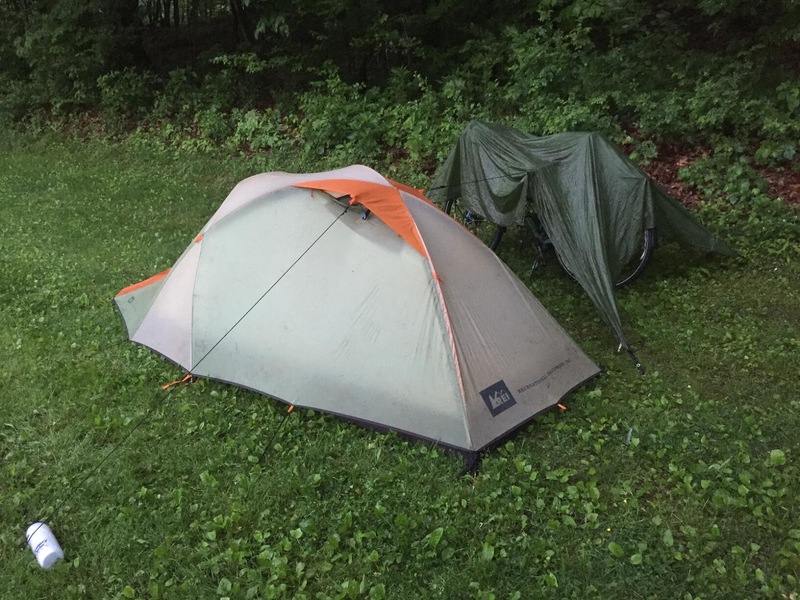 I woke up around 5:45am, and started to pack my gear back up. I needed to get an early start in order to have time to get breakfast then help open up the store at 10:00am. 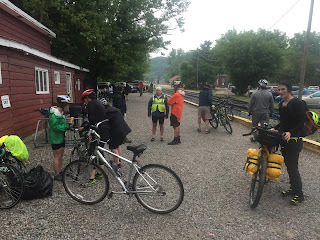 A couple people had already left before me, while a few were taking their time; the ladies were making some coffee and offering it around to the rest of us. Josh and I got back on the trail around 6:45am. It wasn't raining when we left, but we had a few light sprinkles during the ride back. We got back sooner than expected, about 7:20am, which ended up being a little early for our planned breakfast when Fisher's Cafe would open at 8:00am, so we drove up the road to Johnny's Diner in Hudson. 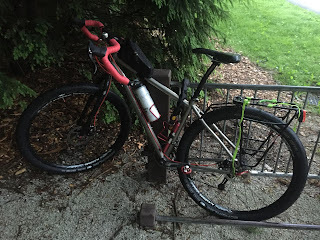 I got back to the shop in time to clean the Towpath Trail mud and grit off my bike. 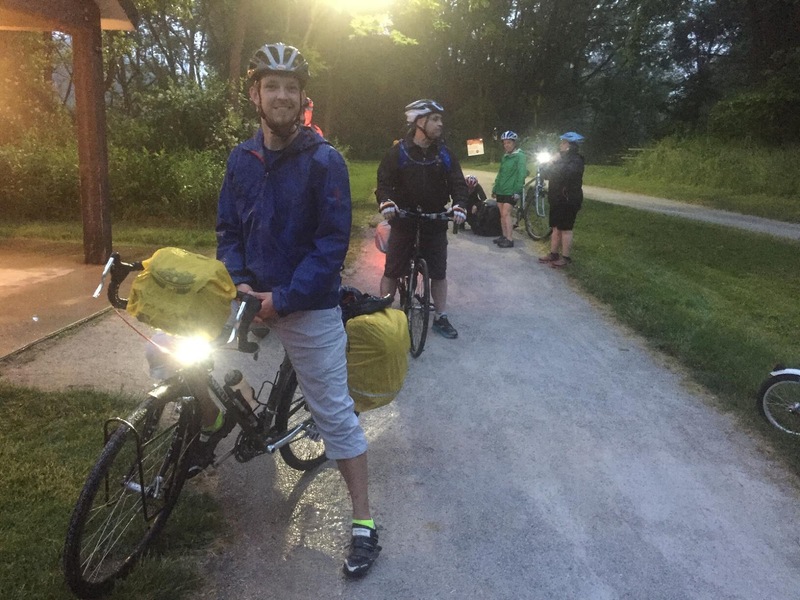 Thank you to everyone who enjoyed the Bike Camp-Out Night Ride with us! 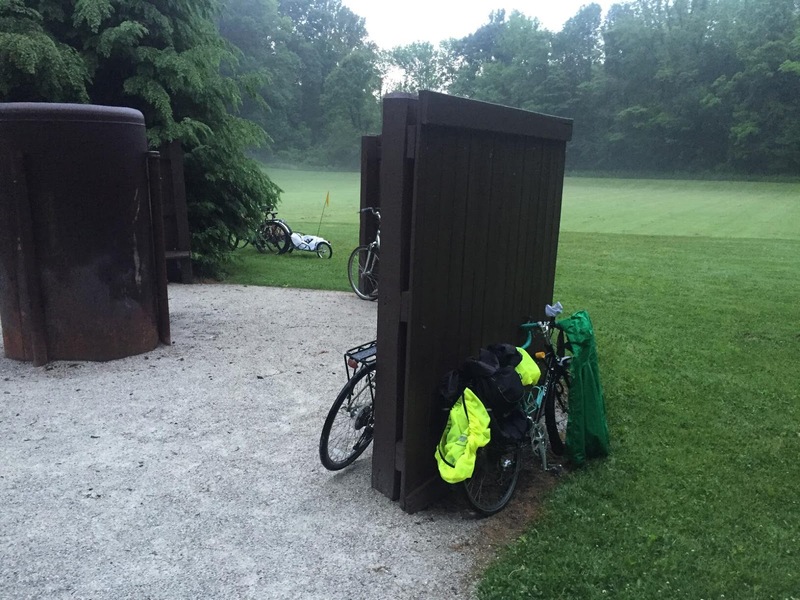 We'd like to do it again with better weather, so watch this space for announcements! If you'd like to plan your own bike-camping adventure on the Towpath Trail, we have a list of camping sites available along the trail, many of which are FREE! 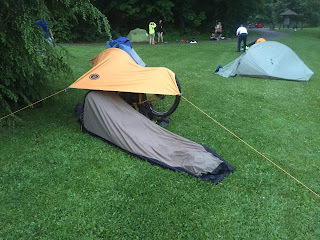 Go to www.centurycycles.com/to/camp for all the details. 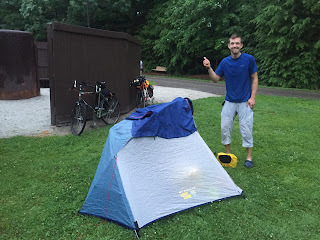 Check out www.bikeovernights.org for more tales of sub 24-hour bike adventures from all over the world, plus tips and resources for planning your own trip!